Many people assume that when printing photos at home, you have to use paper from the same company that makes your printer. But while there are certain advantages to sticking with the same brand—a printer’s driver is fine-tuned for the manufacturer’s papers—it’s not your only option. If you’re willing to experiment, you can find a world of alternative media types, including less-expensive glossy papers, exotic handmade papers, and even fabrics. The trick to using unusual papers is understanding which ones your printer can handle and how to adjust your print settings to get good results on their unique surfaces. Resin Coated (RC) These are comparable to the glossy and satin-finish papers you get from a photo lab. They have a plastic base, and are bright white with either a high-gloss coating or a pebbly luster finish. Color photos practically pop off the page, which is why RC papers are so popular. And they are often less expensive than the photo papers printer vendors make. But the low cost of these papers doesn’t mean they’re of low quality; I’ve used a number of RC papers from companies like Red River Paper and Moab with excellent results. Matte Finish Another popular option, these papers have a coating that absorbs the ink but produces no shine. They’re less expensive than glossy papers, so they’re a good choice for proofs and for budget-conscious printing. My favorite matte paper is Epson’s Ultra Premium Presentation Matte, which produces wonderful prints on just about every photo printer I’ve tested. Red River also offers nice matte-finish papers, including greeting cards. Printing a photo on Color Textiles’ Cotton Voile fabric (top layer), Hahnemühle’s Photo Rag Pearl paper (middle layer), and Crane’s Maestro Matte canvas (bottom layer) produces very different textures. Printing Done Right: Unlike other printers, HP’s Photosmart Pro B9180 lets you add custom paper types and their associated ICC profiles to the printer driver for easy selection. 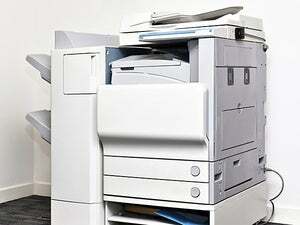 On other printers, you’ll have to find the installed paper type that best matches your media. Fiber Based These papers have characteristics similar to those of traditional photographic papers. 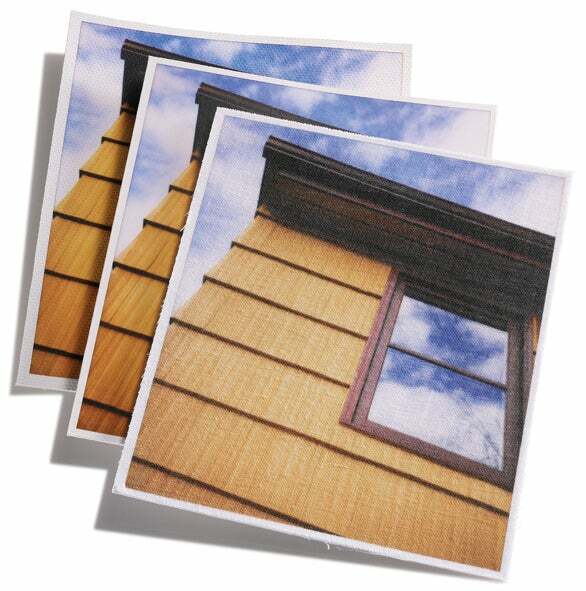 Fiber papers have no plastic backing and use a low-gloss coating, sometimes labeled as baryta. The result is rich, deep tones, especially for black-and-white prints. Crane offers a fiber-based paper called Museo Silver Rag. Harman Technology also offers two excellent fiber-based papers, Photo Matt FB Mp and Photo Matt FB Mp Warmtone. The Warmtone paper, made specifically for black-and-white prints, is one of the most gorgeous papers I’ve used. Fine Art When I first started printing on alternative media, I would buy sheets of Arches watercolor paper from the art-supply store. Although I could get stunning results, the process required a lot of trial and error. Today, companies like Crane, Hahnemühle, Moab, and Red River make textured and smooth fine-art papers designed to work with ink jets. Fine-art papers tend to be more expensive than glossy and matte-finish papers. Most vendors offer sample packs that contain a few letter-size sheets of their line. Fabric My wife is a quilter, and we’ve been printing on fabric for years. In the old days, we used a warm iron to affix muslin to freezer paper, which provided a stiff backing. Nowadays, many companies make fabric sheets, which use a similar combination of fabric and backing sheet. Most good quilt and fabric stores carry a line of ink-jet fabric. Online company Color Textiles offers sheets and rolls of more than 14 fabrics, including silk, rayon, and poplin. Although reproducing fine details is challenging—even pigment inks will bleed a bit—you can get fabulous results. Just pay attention to the washing instructions, as some sheets require special treatment. Handmade Many art stores stock a selection of fine Japanese and Italian handmade papers, which can be particularly fun to print on. As with fabrics, you won’t get fine detail, but you will get unique images. Hiromi Paper International is a great place to start. The company offers some beautiful handmade papers, many with coatings for ink-jet printers. Ink-jet printers use one of two types of ink: pigments or dyes. Pigment inks consist of tiny encapsulated particles that sit on top of the paper. Dye inks, on the other hand, are absorbed into the paper and produce very bright images with a wider color range than pigment inks. The difference, however, is much less than it used to be. If your printer uses dye inks (check its manual if you’re not sure), you should get good results from most glossy and semigloss papers, as well as most matte-finish papers. Although some paper companies will steer you away from fine-art paper, I’ve gotten great results with watercolor paper and dye inks. In the past, pigment inks didn’t print well on glossy paper. But both the printer manufacturers and the paper companies have worked hard to resolve this problem. Still, pigment inks tend to produce the best prints on papers with dull finishes, such as matte, fiber, and fine-art papers. They also work well on fabrics and handmade papers. You should also check the manual to see whether your printer can handle thick paper. Many inexpensive photo printers can’t, and trying to jam thick fine-art paper through your printer can result in smeared ink or, worse, a damaged print head. Some fine-art paper companies offer thinner versions of their most popular papers. Hahnemühle, for example, makes a thin version of Photo Rag—one of my all-time favorites—that works nicely with my low-end Canon and Epson photo printers. Since most printer companies list only their own papers in the Print dialog box, determining which print options will work best with other papers can be challenging. If you’re using Adobe Photoshop, Photoshop Elements, Photoshop Lightroom, or Apple’s Aperture, your best option is to use an ICC color profile for the paper. A profile is like a key that translates the colors in your image into colors that the printer is capable of outputting on a specific paper. While it’s possible to make your own color profiles using a spectrophotometer and software that reads color patches from a test sheet, most paper companies offer ICC profiles for popular photo printers. Simply download the appropriate profile and place it in the /Library/ColorSync/Profiles folder. When you’re ready to print, select the appropriate profile from the color-management options in your program. In Adobe applications, you will also need to turn off the printer’s color-management setting in the Print dialog box. Then choose the paper type that’s closest to the paper you’re using. If you have Hewlett-Packard’s Photosmart Pro B9180, the process is much easier—the printer lets you install settings for alternative papers and their ICC profiles into the print driver, which is the way all printers should work. If you don’t have a profile for your paper, or if you’re using a program (such as Apple’s iPhoto) that doesn’t let you choose a specific ICC profile, getting a good print may be a process of trial and error. First, examine the paper types listed in the printer’s driver for the closest match—both in finish and in thickness—to your new paper. For example, if you’re trying a new semigloss paper on an Epson printer, your best place to start is by selecting Premium Luster from the Media Type pop-up menu in the Print dialog box. If you’re using a thick paper, and you aren’t sure if one of the installed paper types is appropriate, check its settings for a Thickness or Platen Gap option, which controls the distance between the print head and the paper. For some papers, you might also want to check the driver for a way to alter how much ink the printer lays on the page. With handmade papers and fabric, I often slightly reduce the Ink Volume (on HP printers) or Color Density (on Epson printers) before running a test print, and then I increase the setting as needed. It’s rare that you’ll get perfect prints the first time with this method. Continue playing around with the printer driver’s settings until you have something that works well for your chosen paper type. Then save that setup as a preset in the Print dialog box so you can use it over and over again.